Get Promotional Views For Your Church! Click Here and Start Today! Order The Perfect Faith Card Today! Order Now! Register today and become a member at KNCB, Join in on the Chat and network with other Christians from around the world. SOULS, SOULS, SOULS Join us in the talk about SOULS! Register Now! Start a sermon podcast for your following today. Read More! New article by Apostle Walls! Read Now! Watch Apostle Craig Banks at Say Amen TV, New Teaching Compassion Series. Watch Now! Does your Church have MP3 Sermons or Mp4 videos? KNCB is a great place to broadcast your ministry sermons. Read More! The basic definition of grace by God is a complete unearned and undeserved act of favor towards an individual or group of people by God Almighty. It can seem mind-blowing that the creator of everything loves us so much would pour undeserved favor on our lives. Yet, he does this on a daily basis, all across the globe. Listening to audio sermons on grace of God can help clarify what grace is. Especially when it comes through the views of our heavenly father. God feels our pain and has compassion for our infirmities. Adam and Eve walked and talked with God in the Garden of Eden. Sin separated us from Him, but his compassion and love are unending. Romans 6:14 For sin shall not have dominion over you: for ye are not under the law, but under grace. When we hurt, he feels pain. For those that seek and believe in Him, receive unearned favor in healing our weak, fleshly bodies. Take the woman with the issue of blood for example. She suffered for so many years but believed in the healing power of Jesus. When Jesus performed the many healing miracles, at times he just stated they were forgiven their sins. Rather than saying they were healed. God chooses and blesses us with spiritual gifts. These are to be “stirred up” so that the people of God can receive the healing, deliverance, and salvation. 1 Peter 4:10 As good servant managers of God’s grace in its various forms, serve one another with the gift each of you has received. Audio sermons on the grace of God should include the lovely Queen Esther. The Book of Esther is one filled with both the pure love of a man for a woman. And a lesson in how grace ultimately caused the Jewish people. Had Esther not been extended grace, the king would have never heard her plea. Esther acted by faith instead of being discouraged. As a result, God’s people would have surely perished. Hope should always reside in our hearts in the darkest of hours and circumstances. God hears our cries and answers boldly. 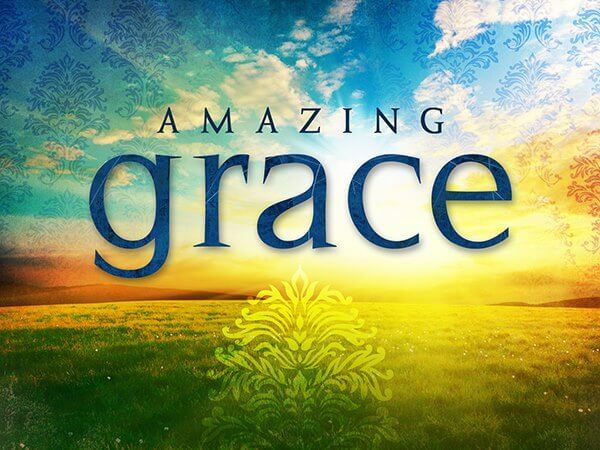 How great is our God is one of the best lessons to explore in audio sermons on grace of God. Psalms 147:5 reminds us that Lord is great, all-powerful, yet humbles himself to meet us in our times of need. His wisdom is without end. With this being said, wisdom is the only way to understand the hope of eternal salvation brought by and bought by Jesus on the cross. Jesus’ resurrection paid the price of sin for all those who believe in him. Now Stephen, full of grace and power, was performing great wonders and signs among the people. Men and women of God are encouraged to record your sermons as MP3’s and videos. Reaching the lost can be accomplished through broadcasting networks such as KNCB. For information on how your ministry can start a group and upload sermon audios and MP4’s, contact us at info@kncb.org today. Register for your personal profile in the Christian community and start networking.